Lawson Kline started his own Outdoor Equipment store in late 2008 and took on the name Mountainfitter. Many may recognize that name, whereas others may have known it simply as Lawson Kline’s (or Lawson’s) store. 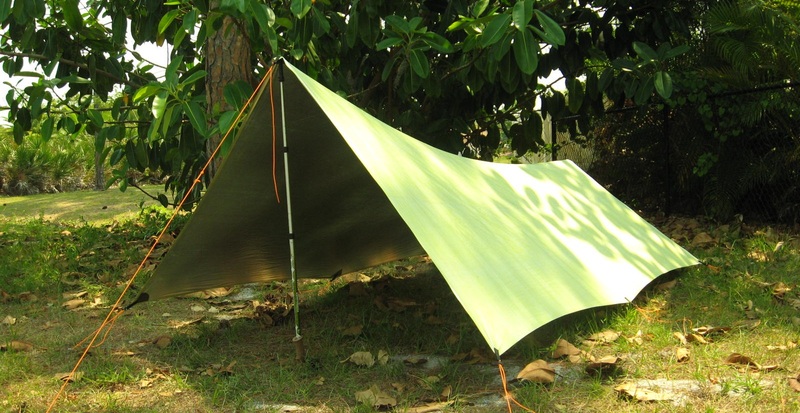 He started by selling other companies gear on his site, then soon after began selling some of his own cuben fiber tarps and drybags, and even some titanium tent stakes. Over time he decided that he wanted to dedicate more of his time, and his shop, to selling his own gear which he is quite passionate about making. So, he let some of the other companies gear sell out in his own store and started focusing more on his own gear, his shop, and the customers. In a nutshell, Lawson has offered great products at great prices, and to boot, he has top-notch customer service. Currently, Lawson also sells his own Ti-Eye stakes as well as a couple of different types of dyneema guy line and cords, and his own cuben fiber bear bag kit. As well, at the moment, he only has a few of the 8×16 cuben fiber dry sacks in stock, so be sure to check those out and pick one up too. So, if you have, or haven’t, already heard of Lawson Kline, be sure to stop by and visit his newly named store. I don’t think you will be disappointed! This entry was posted in Gear, Gear Stores and tagged CTF3 cuben fiber, Cuben Fiber, cuben fiber dry bags, cuben fiber tarps, dyneema guy line, Fastpacker Tarp, Lawson Outdoor Equipment, Mountainfitter, Ti-Eye Stakes, titanium tent stakes. Bookmark the permalink. Well now I’m just plain excited. Can’t wait to see what new stuff Lawson has coming out!